Rockstar Energy Husqvarna Factory Racing’s Billy Bolt and Alfredo Gomez have delivered strong performances at round four of the World Enduro Super Series – Romaniacs Hard Enduro Rallye – where the duo finished fourth and fifth respectively at the end of the five-day race. Marking the halfway point in this year’s WESS championship, the Husqvarna riders were eager to challenge for podium results. As winner of the series opener in Portugal, 20-year-old Bolt arrived in Sibiu, Romania keen to show his form. Impressing in the opening day’s prologue, he claimed a convincing win by lapping the entire field of riders. With the race heading out into the mountains for four demanding days of Enduro riding, Bolt placed sixth on Off Road Day 1. Improving as the race progressed, he worked his way up the leaderboard to eventually finish fourth overall. Returning to competitive action following his knee injury sustained in February, Gomez simply wanted to use the race as a way to build up his pace. Spending the opening days settling into the rhythm of the event, the Spaniard’s confidence grew day-by-day. 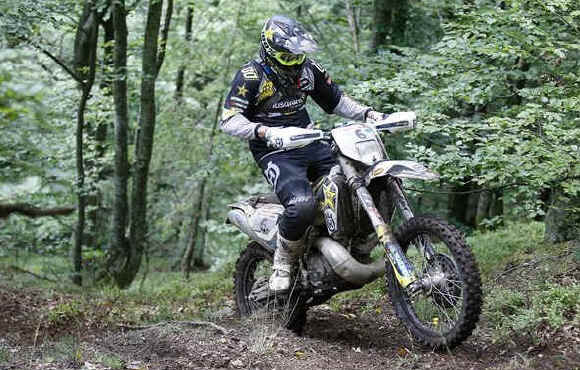 Upping his pace to finish fourth on each of the final two days, the Husqvarna rider was more than pleased to end the world’s toughest Hard Enduro Rallye in fifth overall. As the 2017 winner of Romaniacs, Graham Jarvis began the 15th edition of the race aiming to claim his seventh victory. Finishing fourth on the opening day in the mountains, but 17 minutes behind the leaders, the Husqvarna rider was not happy with his riding. However, despite citing a lack of energy, he battled through Off Road Day 2 to maintain fourth. Starting the penultimate day feeling low on energy and fatigued, he was forced to withdraw from the race before the midday service point. The World Enduro Super Series continues with round four at Red Bull 111 Megawatt on September 8/9.